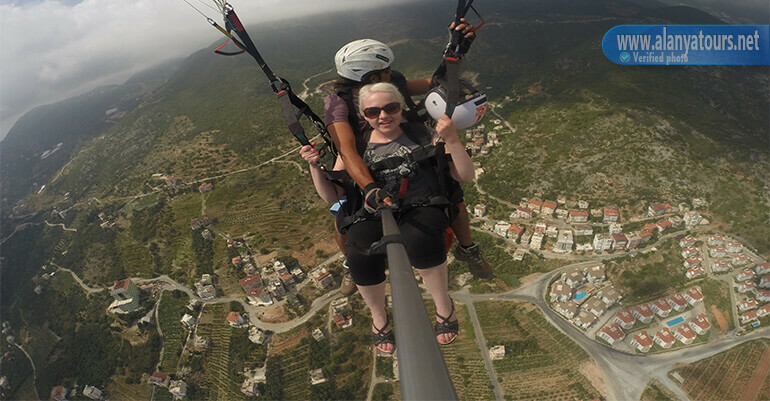 Alanya Paragliding , Trying to take the paragliding is the interesting activity. Do you know what it is? 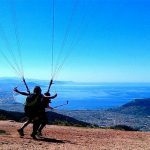 Paragliding is a kind of the sport. 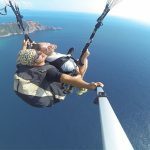 You will fly using the paraglider. 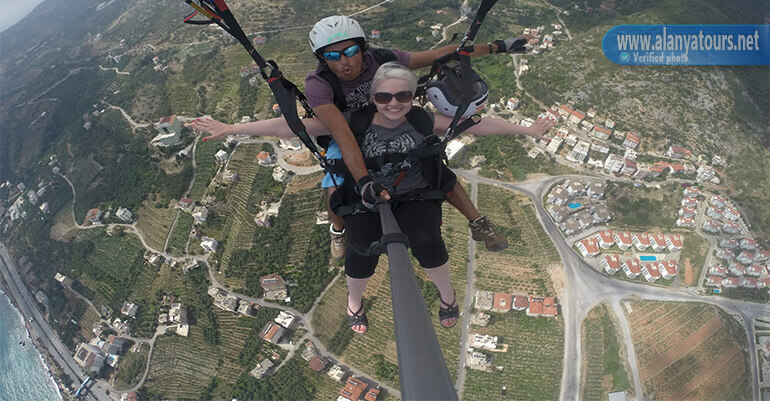 Yes, the easiest way for you to be able to fly is by taking the paragliding. 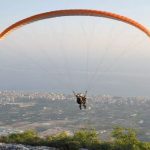 For that, the tour of Alanya paragliding is the right choice for you. You will fly as if as you are a bird that have the wings. 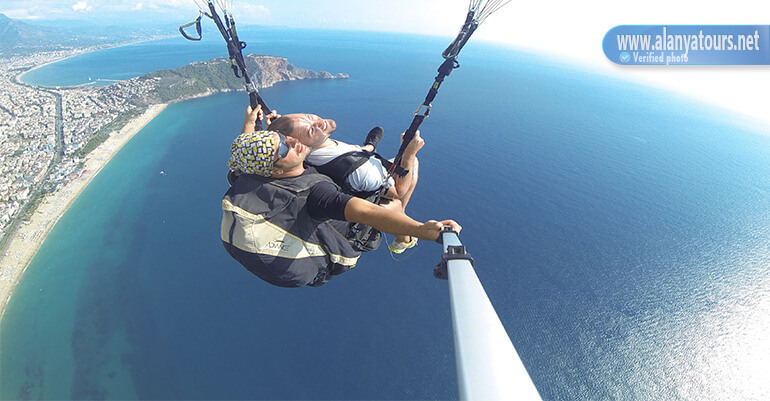 The paragliding will have the function as your wings that can spread. 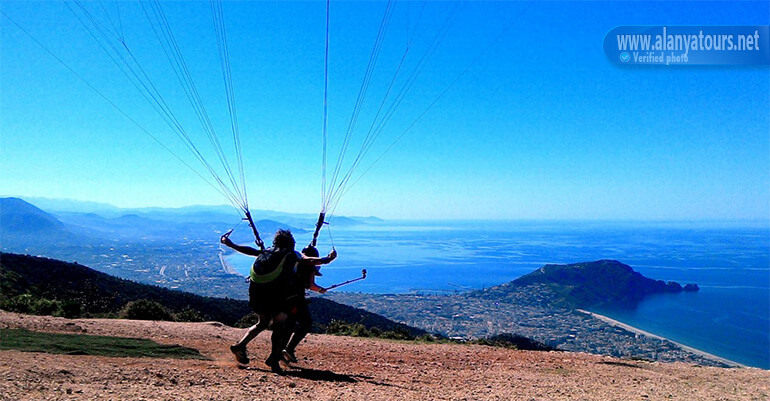 When you are flying, you will be excited because you will see the beautiful scenery. Don’t be afraid because this sport is safe. 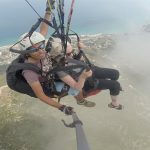 It will be supported by the experienced pilot and professional assistance. Besides, you will wear the safety equipment. 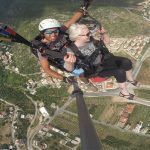 The height of you is for about 800 meters. You will fly for about 20-25 minutes. 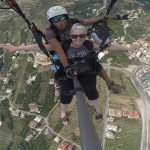 Well, this is the exciting way to see the Alanya from the air. 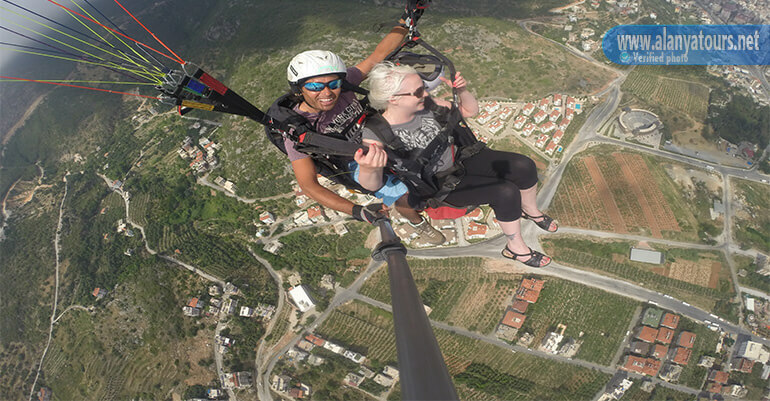 Actually, you can go paragliding whenever you want to. However, it should be between 9.30 AM until 04.00 PM. This is the time of the service you can get. You will be in the air for about twenty-five minutes. 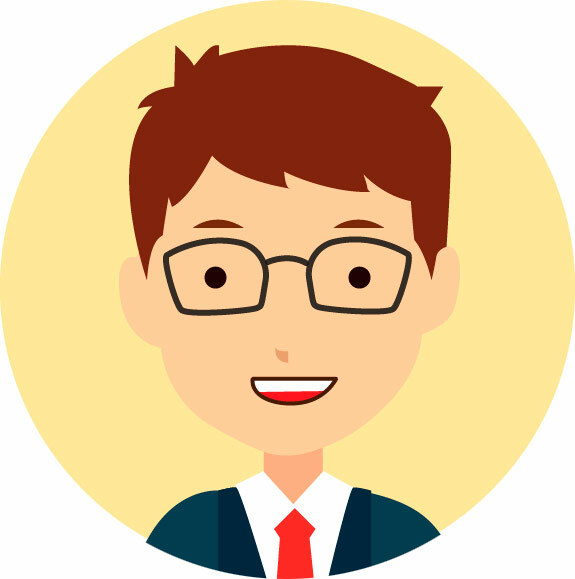 If you want to use our service, you just need to wait in your hotel because our team will pick you up from the hotel and you will drop back after the activity finishes. To go to the mountain, you will take the jeep. It will take the time for about 20 minutes. 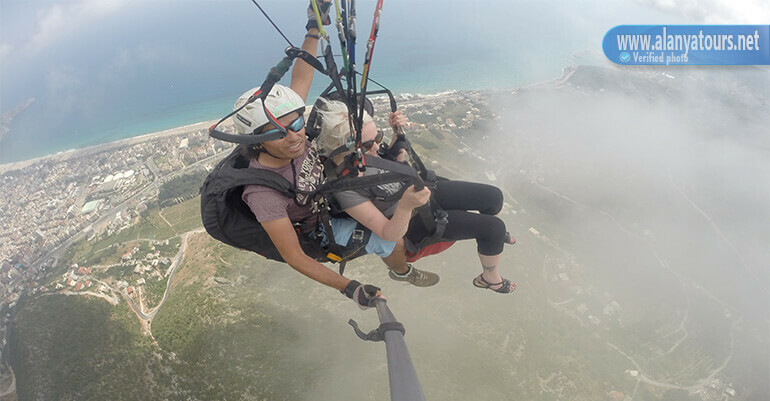 When you do the paragliding, there are some ways that you should pay attention. Firstly, you should wear the comfortable clothes. Then, don’t forget to wear the sunglasses. It can protect your eyes. Then, bring the sturdy pair of shoes. Then, a bottle of water is important to bring. Another thing, you should pay attention about your weight. The ideal participants from this sport are they have the weight between 25 kg and 120 kg. 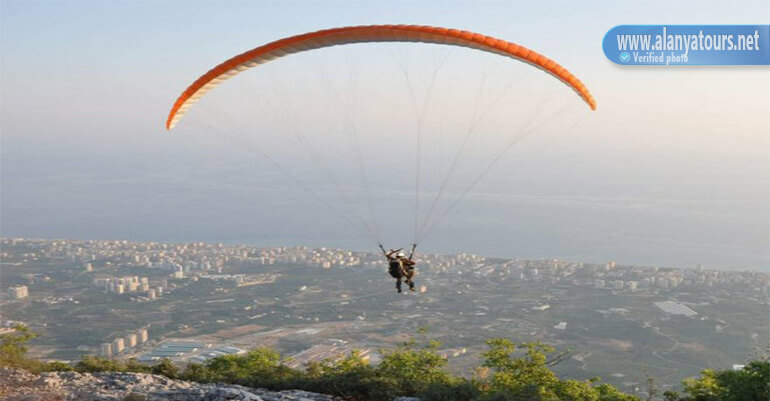 Those are the information about Alanya paragliding. It is the exciting sport you can enjoy. 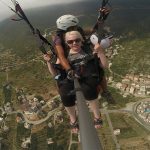 Watching the Alanya from the air will be different. Happy vacation!